The Best Mutual Fund blogs from thousands of top Mutual Fund blogs in our index using search and social metrics. Data will be refreshed once a week. Mutual Fund newsletter is a comprehensive summary of the day's most important blog posts and news articles from the best Mutual Fund websites on the web, and delivered to your email inbox each morning. To subscribe, simply provide us with your email address. Gurgaon, India About Blog Read the Best Articles on Mutual Funds, SIP, Investment, Financial Planning, Personal Finance, Best 5 Mutual Funds, Top 5 Insurance Products, Critical Rating & Review of Funds and financial products. Facebook fans 4,793. Twitter followers 10,555. Williamstown, MA About Blog The Mutual Fund Investor Guide provides unbiased advice for Fidelity, Vanguard and ETF investors. Facebook fans 217. Twitter followers 69. Chennai, India About Blog FundsIndia is India's friendliest online investment platform. Our goal is to empower and enrich Indian investors. To achieve this goal, we will build and maintain a platform that makes available all the education, research, tools, support and advice, in an economical package, to our investors. Facebook fans 335,049. Twitter followers 18,820. Chennai About Blog Simple how-to articles and free tools for financing your goals, managing your money, mutual fund and stock investments. Facebook fans 3,302. Twitter followers 3,100. San Francisco, CA About Blog Retirement accounts or otherwise, long- or short-term, a subreddit to discuss all things investing with a focus on mutual funds. Discuss expenses and fees, index versus managed funds, John Bogle, Jeremy Siegel, market timing versus buy-and-hold, and any of the other perennial topics related to investments and investment strategies. Facebook fans 1,149,464. Twitter followers 510,643. Los Angeles, CA About Blog Investor’s Business Daily provides proprietary stock screens, comparative performance ratings, and unique commentary helping investors zero in on top performing growth stocks. IBD’s mission is to teach people how to make money in the stock market. We believe that anyone is capable of learning how to become a successful investor. Facebook fans 542,170. Twitter followers 130,615. Bangalore About Blog BasuNivesh is an initiative started with the aim of educating each individual in dealing their financial life, making aware about miss-selling which may come into your life at any time through any means. Facebook fans 3,816. Twitter followers 880. Facebook fans 2,944. Twitter followers 248. Bangalore, India About Blog Informative posts to make you familiar with the features and benefits of various Mutual Fund schemes prevailing in the market. Facebook fans 2,471. Twitter followers 212. About Blog Personal Finance Plan is an online personal finance advisory firm that aims to provide quality financial advice to its customers and help them make prudent financial decisions in life. Facebook fans 764. Twitter followers 246. Mumbai, India About Blog Unovest is a single point platform to invest in direct plans of mutual funds in India. Simple actionable ideas to power your money. Facebook fans 166. Twitter followers 174. About Blog Mutual Fund Observer is a non-profit, non-commercial site which provides fund managers, financial advisers and individual investors with research, analysis, data and commentary on innovative, independent new and smaller mutual funds. Facebook fans n/a. Twitter followers 981. Thane, India About Blog Finpeg is a revolutionary new way of investing that combines sophisticated algorithm driven investing with the assurance and warmth of human-assisted transacting. Facebook fans 900. Twitter followers 121. Mumbai, India About Blog Investica is a Mutual Funds App that simplifies & fastens mutual funds investment. It comes with a SIP Calculator, Portfolio Tracker, Investment Portfolio, etc. Facebook fans 68,431. Twitter followers 4,389. Mumbai, India About Blog Invest online in mutual funds that are tailored to your exact needs. Moneyjar helps you make investing easy and rewarding. Facebook fans 927. Twitter followers 42. India About Blog WealthTrust is India's first Zero Commission Wealth Manager. It's smart, paperless and very secure personal wealth management solution.Our experts analyze more than 4000 schemes and give an unbiased recommendation based on key technical data. Facebook fans 2,255. Twitter followers 508. Facebook fans 228. Twitter followers 27. New Delhi, India About Blog A financial planning blog for beginners where they learn about how to invest properly. About Blog We are a boutique private wealth advisory firm providing tailored solutions from the entire financial and physical assets spectrum. We are committed to delivering attractive long term investment returns while minimizing risks. Facebook fans 243. Twitter followers 31. Rockville, MD About Blog We are Democratizing Investments with a highly-interactive Investment Toolkit. We also provide a unique perspective on the performance of actively-managed mutual funds, exchange-traded products and investment portfolios. Facebook fans 4. Twitter followers 48. About Blog Constructive Reflections on the Indian Mutual Fund Industry. Offering ideas and thoughts that could make mutual funds the preferred investment choice for every Indian. About Blog The Fidelity Trends blog is a market commentary for Fidelity mutual fund investors. Our goal is to highlight key changes in market conditions using technical analysis tools. Mountain View, CA About Blog Comprehensive up-to-date news coverage about Mutual Fund, aggregated from sources all over the world by Google News. Irvine, CA About Blog Welcome to the FMD Capital Management blog. As a fee-only investment advisor, we provide daily updates on ETFs, Mutual Funds, portfolio strategies, and market insights. Facebook fans n/a. Twitter followers 2,105. Navi Mumbai, India About Blog Mutual funds are an emerging popular financial investment vehicle. While you plan to invest your money in them, it would be great to make yourself a little more aware. That will help you pick the right funds for your investments. New York About Blog DST kasina helps leading companies in the financial services industry manage data, gain insight, and ignite growth in their business. Facebook fans 622. Twitter followers 1,935. Facebook fans 8,290. Twitter followers 672. 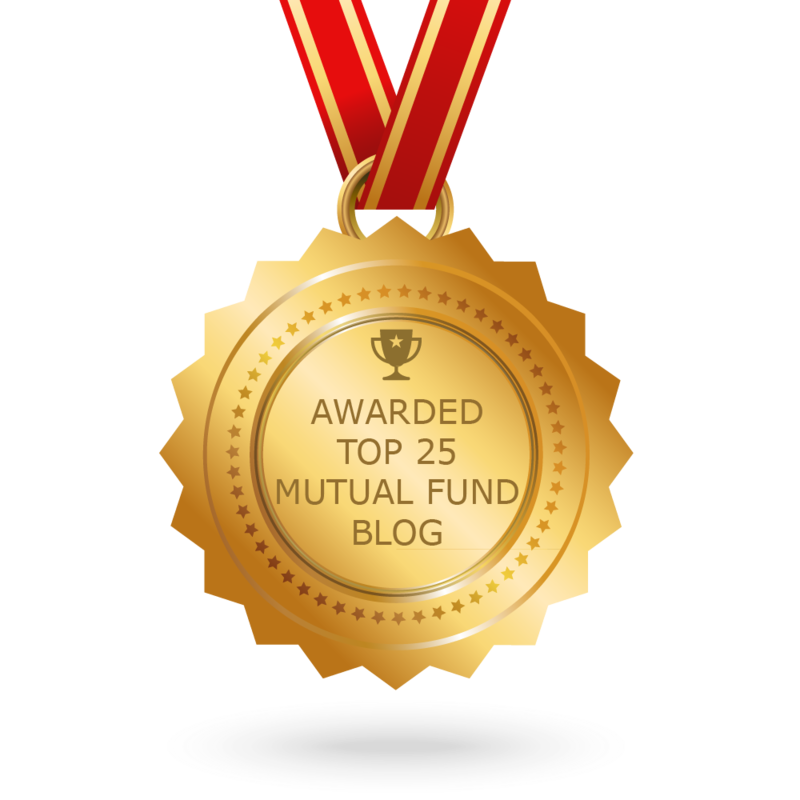 CONGRATULATIONS to every blogger that has made this Top Mutual Fund Blogs list! This is the most comprehensive list of best Mutual Fund blogs on the internet and I’m honoured to have you as part of this! I personally give you a high-five and want to thank you for your contribution to this world.